Artist Braldt Bralds’ most beloved works are his fanciful renditions of cats with their humorous, human-like traits. There’s mystery behind a cat’s eyes in the divinely inspired art of Braldt Bralds. 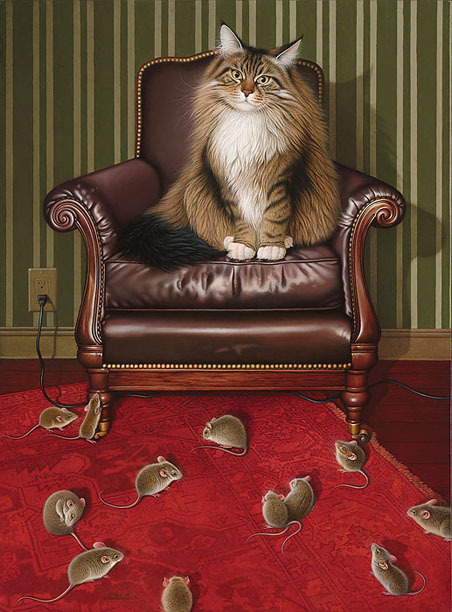 Masterfully creating art that is “of this world, but not in this world,” is his unique artistic talent in paintings that range from realistic, humorous portrayals of cats, to contemplative and detailed still lifes.